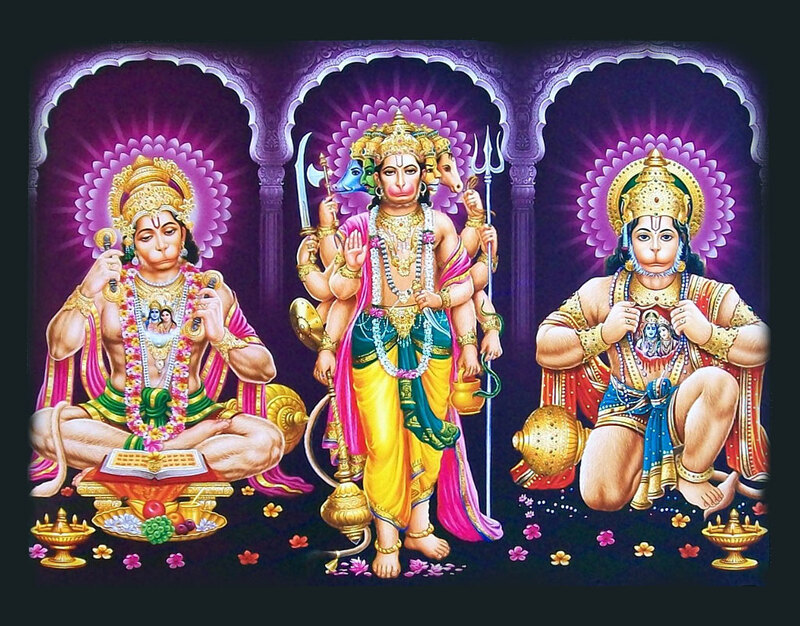 On Tuesday and Saturday, if worship of Lord Hanuman is performed with reverence, all the desires are met. If you cannot regularly worship Hanumanji's photographs should be done daily. Pain: You should worship such a photo of Hanuman in which he is worshiping Shriram, Lakshman and Sita in order to remove the suffering of life. Employment: You should worship such a photo of Hanuman in which his appearance is white to get employment and promotions. Concentration: You should worship such a photo of Hanuman, in which he becomes absorbed in the devotion of Shriram. Devotion: You should worship such a photo of Hanuman in which he appears to be absorbed in the service of Shriram. It awakened the spirit of service and dedication. Veer: Hanuman has destroyed many demons by the courage and bravery. He was devoted the work of Shriram. Devotees also get courage from the worship of veer Hanuman. Knowledge: Lord Sun is the master of Hanuman. In the picture of where Hanuman is worshiping the Sun or looking towards the Sun. Worshiping that form give wisdom, speed, advancement and respect. North Side: The photo of Hanuman in which his face is north side is the north-facing form of Hanuman. The worshiping of this photo gives all deities and goddesses. Daskhinamurti: This side is considered as the direction of Yamraaj. Therefore, worshiping Daskhinamurti Hanuman removes death, fear and anxiety.